Making the most of your visit! So many choices, so little time . . . We've filled the schedule for the inaugural Eliot Ness Fest with so many options that you may have a hard time deciding where to go and what to see or do! Stop at the Coudersport Theatre at 2 pm Friday (July 20) or 10 am Saturday (July 21) for help. You will be glad you did. We'll preview all of the events, answer your questions, and send you on your way with a brief program titled, "Making the Most of your Eliot Ness Fest Experience." After a short slide show to introduce you to the real Eliot Ness, we'll preview each of the major events - the Vintage Car Show, Salute to Law Enforcement, Street Theater, Movie and Documentary Features, entertainment options, fascinating presentations by historians and authors, your chance to trace the footsteps of "Eliot's Last Walk" or enjoy "Pasta with Capone," and more. We'll wrap things up in 20 minutes, but Eliot Ness Fest Committee members and program participants will stick around to answer questions. See you there! Also, keep your eyes on our website eliotnessfest.com and our Eliot Ness Fest page on Facebook for continuing updates. Meet grandson of REAL Untouchable! 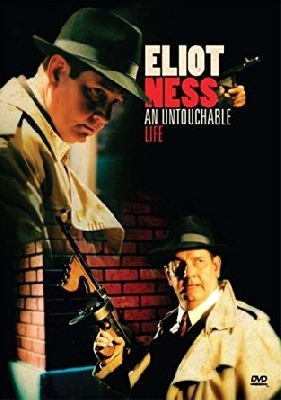 Another highlight has been nailed down for the inaugural "Eliot Ness Fest: Touched by the Untouchable." Join us at 1 pm Sunday afternoon, July 22, at the Coudersport Theatre for a special presentation titled "Meet the REAL Eliot Ness." 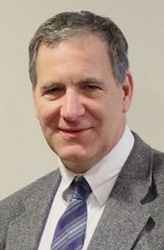 Joining historians A. Brad Schwartz and Paul W. Heimel at an authors' roundtable and slide presentation will be Assistant U.S. Attorney Scott Leeson Sroka. He is not only a respected law enforcement professional, he's also the grandson of Joe Leeson, a valued member of the Eliot Ness-led crimebusting squad that came to be known as "The Untouchables." Sroka, Assistant U.S. Attorney based in the District of Columbia, is in his 12th year of service. 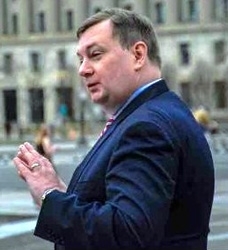 He works with the Federal Violent Crime/Narcotics Trafficking Section, Asset Forfeiture & Money Laundering Section, and Felony Major Crimes Section. Given his family connection with an Untouchable, Federal Agent Joe Leeson, that's no surprise. People who knew Ness personally, including theater owner John Rigas, have been invited to share their memoires and the program will also have some special surprises that are guaranteed to make it a memorable occasion. Our Vintage Car Show is shaping up beyond our greatest expectations. Chairman Steve Green reports that this amazing 1925 Stutz Touring Car will be joined by a 1929 Chrysler, 1928 Model A Ford truck, 1928 Model A Ford sedan, 1923 Ford Model T, 1931 Plymouth, 1929 Ford toy delivery truck, 1931 Ford Model A Doodlebug and 1931 Chevrolet -- all lining the east side of Main Street from 9 am to 2 pm Saturday, July 21. Some of the vehicles will appear in Saturday's 2 pm parade and some will be involved in downtown re-enactments. More authentic vintage cars from model year 1931 or earlier are welcome. For details, contact Steve Green at stephenagreen1952@gmail.com. Learn all about the "Mad Butcher"
You won't want to miss a special feature at the Coudersport Theatre at 8 pm Friday, July 20. We'll be presenting a program on one of the most diabolical killers in U.S. history - the "Mad Butcher" of Cleveland. Between 1935 and 1938, he murdered and dismembered at least 12 victims - many of whom were never identified. Eliot Ness, as Cleveland's Public Safety Director, felt the heat from the public as the killing spree continued. But despite an intensive investigation that included some bold, unconventional and controversial actions ordered by Ness, the Mad Butcher was never brought to justice. Cleveland historian Rebecca McFarland and author A. Brad Schwartz will introduce a feature-length film on the Mad Butcher case and the life of Eliot Ness, titled "The Fourteenth Victim." They will hang around for questions after the show. There's plenty to do at the Eliot Ness Fest, and this program is sure to be one of the most popular attractions. It starts out right here in Coudersport, Pennsylvania, in the kitchen of Eliot Ness's home and comes full circle about an hour and a half later. 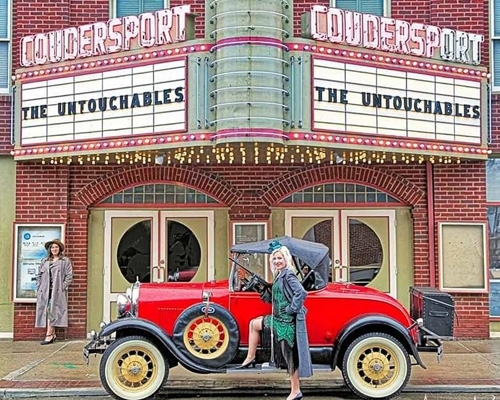 If you want to feel as if you are walking alongside the famous crimefighter through many of his career highlights and his final years as a resident of Coudersport, then you won't want to miss a special film feature, "Eliot Ness: An Untouchable Life," at 4:30 pm Saturday, July 21, in the Coudersport Theatre. Authors A. Brad Schwartz and Paul W. Heimel will introduce the one-man stage performance by actor Michael Cornelison. Written by Max Allan Collins, the snappy dialogue is enlivened by a shifting background of settings and assorted props, along with a snappy, evocative music score. Covered are the pertinent details of the life of Ness, from his beginnings to his untimely death in Coudersport on May 16, 1957. The play starts are in the final minutes of Eliot's life and returns to Coudersport after stops on the streets of Chicago and Cleveland. Ness tells of his adventures of going after criminals - from Al Capone in Chicago and a maniacal serial killer in Cleveland, to the usual assortment of moonshiners, labor racketeers and numbers runners. Collins knows how to tell a story, and Cornelison does a creditable job of portraying the real Ness. 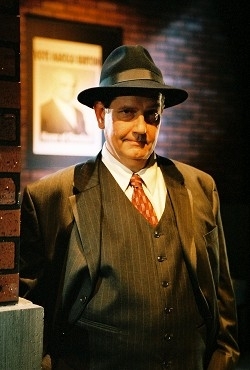 The play veers from the path of documented history from time to time for dramatic impact, but it's a realistic portrayal of the real Eliot Ness and the dedication he demonstrated to law enforcement and public service. It makes clear how the real Ness was reluctant to sign on to writer Oscar Fraley's insistence that the book they wrote, "The Untouchables," exaggerate and glorify his career. "There is a great deal of factual information presented, but what is presented as fact is not the heart of the play. How Ness may have felt about it all is the really important part. It's this part -- the presentation of the character, the insights and feelings -- that is the heart of the production. These ring true, whether they are or not. And whether they are or not is not important. It's the reactions we have, the impressions we get, that matter. That's what a play is about -- reaching us emotionally, getting us to react, to feel, to think." America's Prohibition Era and the time of Ness and Capone's epic struggle in Chicago, the Roaring Twenties, gave birth to some of the most iconic and glorious automobiles ever produced. 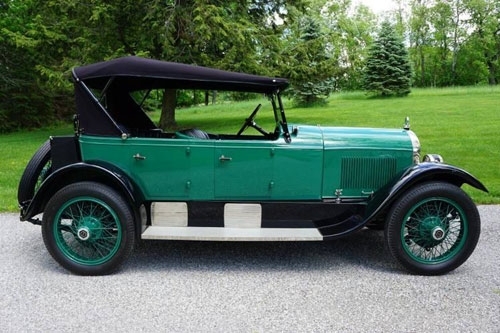 This legendary and stunning 1924 Rolls Royce, owned by Dr. Veasey Cullen of York, will be in downtown Coudersport for the inaugural Eliot Ness Fest, along with many other glorious vintage cars and trucks that will line Main Street. It's the actual Rolls Royce first purchased by Col. Robert McCormick, publisher of the Chicago Tribune in the time of Ness and Capone. After one of his reporters, Alfred "Jake" Lingle, was gunned down in center city in the broad daylight for nosing into mob business, McCormick feared for his own life - as his newspaper continued to report on Eliot Ness's gangbusting activities and expose the horrors of organized crime and its stranglehold on the city. Col. McCormick had this car armored and bullet-proofed. It was one of the few cars in Chicago ever before bullet-proofed, the others being the car of the mayor and the shiny Cadillac of Al Capone. It's no longer bullet-proofed, but Dr. Cullen and family have restored this gorgeous Rolls Royce. To learn more about the magnificent cars and trucks of the 1920s and the Eliot Ness Fest Car Show, continue to check back with the Eliot Ness Fest page on Facebook and the website, eliotnessfest.com. Hollywood has repeatedly delivered a distorted tale of Eliot Ness's exploits in gangland Chicago. Lost in all of the exploitations is a true tale of significant achievements by Ness on another stage. You can learn details and see pictures and exhibits at 10:30 am Saturday, July 21, at the Coudersport Theatre. 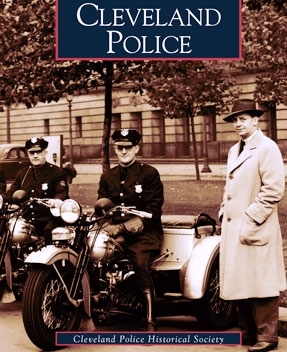 "Eliot Ness in Cleveland: Saving an American City" will be presented by Rebecca McFarland, vice president of the Cleveland Police Historical Society. Learn how Coudersport's most famous resident transformed Cleveland from one of the most dangerous and dysfunctional cities in the nation to an official title of "America's Safest City." Ness revolutionized a crooked and inefficient police force, cracked down on racketeering and widespread illegal gambling that choked the city's economy, tamed youth gangs that were terrorizing many neighborhoods, and otherwise cleaned house. "No one man has ever had as positive of an impact on an American city in a short amount of time as Eliot Ness," declared Harold Burton, who served as Cleveland's mayor and was eventually seated as a U.S. Supreme Court Justice. Visit the Cleveland Police Historical Society. 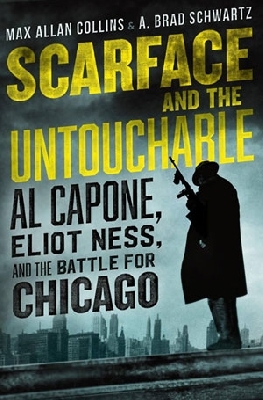 Author A. Brad Schwartz, who has teamed with Max Allan Collins to write a new book, "Scarface and the Untouchable: Al Capone, Eliot Ness and the Battle for Chicago," will share the results of his exhaustive research during a public presentation at 3:30 pm Saturday, July 21, in the Coudersport Theatre. His program, which will include a variety of graphics on the big screen, is described as "a riveting, myth-shattering dual portrait of Al Capone, America's most notorious gangster, and Eliot Ness, the legendary Prohibition agent whose extraordinary investigative work crippled his organization." Audience members will have a chance to ask questions after the presentation. With passage of Prohibition in 1920, the stage was set for the rapid rise of organized crime to set about making fortunes in their sudden gift of a black market for bootleg beer and booze. Eliot Ness entered the scene in Chicago to combat this sudden rapid rise of crime. Ness was enlisted by the newly created Bureau of Prohibition to assemble a small band of agents and attack the bootlegging empire that had become the economic lifeblood of the underworld. All during this time Ness and his men were constantly approached with bribes and other enticements to look the other way, as many Prohibition agents had in the past. Never through all this did Ness or his men succumb. Thus, for their diligent, honest, fair and incorruptible law enforcement, Ness and his men earned the nickname "The Untouchables." Prohibition was repealed, but organized crime still prospers today through gambling, drugs, prostitution and other vices. That was certainly the case during the early 1940s in Cleveland, which was the next stage onto which Ness stepped. He turned what was regarded as one of the most dangerous and corrupt cities in the nation into the officially proclaimed "Safest City in America." This is the cause we celebrate with the inaugural "Eliot Ness Fest: Touched by the Untouchable," and what better way to do it than to recognize those men and women who are dedicating their lives to protecting and serving today? 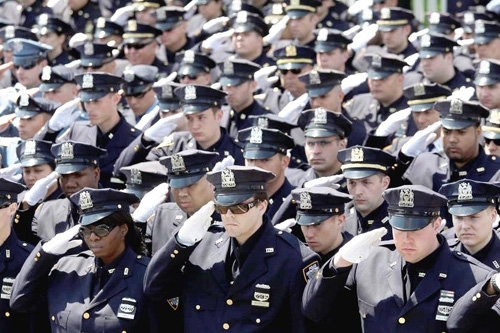 It kicks off with a Celebration and Salute to Ness and Law Enforcement at 3:30 pm Friday, July 20, at the courthouse square, where these heroes will be recognized and honored. Keynote speaker with be the Hon. 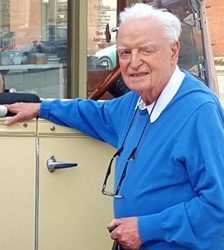 John Leete, senior judge, who grew up just a block from Eliot Ness's Coudersport resident and has observed law enforcement from many perspectives over the years. On both Friday and Saturday, July 20-21, a Law Enforcement Headquarters Tent will be set up on the courthouse square, where the public can meet, talk with, and thank many of our law enforcement officials from local, state and federal jurisdictions. Among confirmed participants is the U.S. Bureau of Alcohol, Tobacco, Firearms and Explosives (ATF), which still today celebrates Ness's service as an agent in the 1920s when he attacked the mob's stranglehold in Chicago. Representatives from the Cleveland Police Historical Society and Museum will also be attending, bringing along artifacts and exhibits from Ness's career as the city's Director of Public Safety. Also scheduled to participate are the Pennsylvania State Police; Potter County District Attorney's Office; Potter County Sheriff's Office, and local police departments from Coudersport and Sweden/Roulette Townships. Some of the agencies will demonstrate their tools of the trade and discuss law enforcement and public safety issues. Visitors will also be able to view some of the law enforcement vehicles of today, and at least one from the past. Among confirmed attendees over the weekend are Assistant U.S. Attorney Scott Sroka, a descendant of Untouchable Joe Leeson, from Washington, D.C.; and ATF Agent Charlene Hennessey, from Philadelphia. We are fortunate to have landed three quality musical acts to play an important part in the inaugural Eliot Ness Fest. There's going to be music available to satisfy a variety of tastes, falling right in line with our festival programming and themes. You'll hear plenty from the BluJayz, featured a special blend of musical talents and experiences, creating a whole that is greater than the sum of its parts. 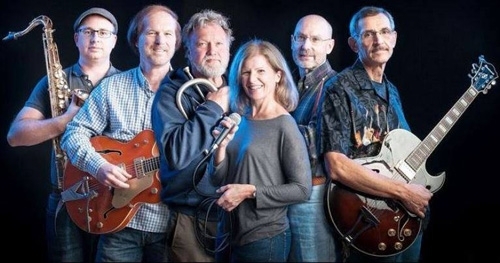 Band members, from left, are Tim Walck, Larry Herbstritt, Arthur Metzger, Anne Acker, Bryan Neff and Tod Twichell. Missing is Mark Amman. Tim won't be able to make it for the festival, but saxophonist Jon Neff is stepping into the mix. The band delivers blues and jazz (now do you get it on the name?) along with popular selections with their own creative twists and turns. The BluJayz perform songs that span multiple generations and genres. They are committed to making music that is honest, energetic, engaging and fun. You can hear the BluJayz Friday at the courthouse square starting at 3:30. Their set will include a fitting introduction to Salute to Law Enforcement at 4 and they'll pick back up after the ceremony and play until 6. The BluJayz will return to the square for a performance that starts at 3:30 pm Saturday. Meanwhile, the proprietors of "Jack's Place," our speakeasy at the corner of Main and Second streets, are pleased to present R.S.V.P. for Saturday's popular Speakeasy Dance, Dance Contest and Costume Contest from 7-10 pm. This union of experienced musicians include Joel Anderson, guitar; Paul Herzig, bass/vocals; Chanee Starks, piano/vocals; J.T. Madison, saxophone; and Bob McAdams, drums. They combine their talents to create an exciting alchemy of traditional light jazz, big band and Latin music. They reveal their skills through improvised solos and thoughtful interpretations of the genres' classics. R.S.V.P. has a history of playing for many special events such as Christmas parties, anniversaries, Mardi Gras and Saint Patrick's Day celebrations, in southwestern New York, northern Pennsylvania, State College, and the Hershey Convention Center. Rounding out our musical menu is a Buffalo, N.Y., band, Folkfaces, featuring rowdy jazz and bluesy roots. 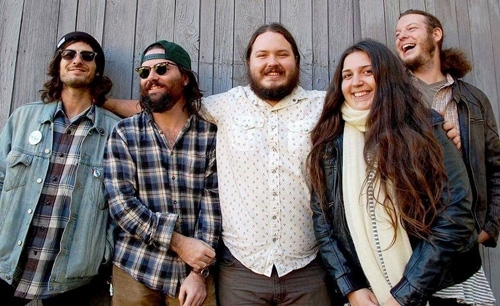 Folkfaces has an irresistibly danceable energy and a unique versatility drawing influence from folk, jazz, blues, punk, Americana, jug band, and bluegrass. Songwriter and frontman Tyler Westcott, a founding member, is joined by saxophonist Ellen Pieroni, upright bassist Patrick Jackson, slide guitarist Dan Borodzik and washboard extraordinaire Dan Schwach. Folkfaces is busy thus summer playing at music festivals and other venues in 12 states. 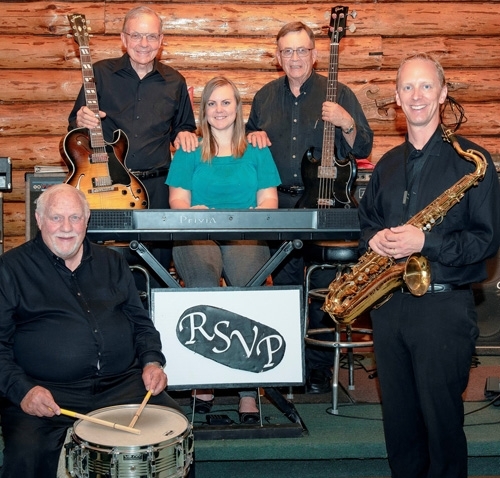 The band will perform at the courthouse square on Saturday from noon to 2. They'll also appear at the Hotel Crittenden at Main and Second streets on Friday and Saturday nights. Coudersport's First United Presbyterian Church has agreed to participate in the inaugural Eliot Ness Fest as a memorial to the Ness family, who were parishioners in 1956-57. 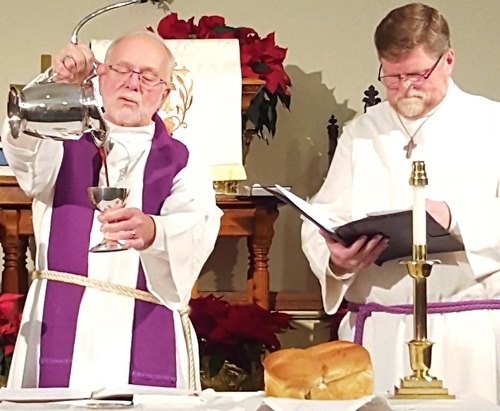 Co-pastors Warren Cederholm and Don Caskey will lead an ecumenical worship service at the church, located at the corner of North Main and Fourth streets, at 11 am Sunday, July 22. All are welcome. Eliot Ness Fest Committee members approached church leaders about the prospect of dedicating their traditional Sunday worship service to the memories of Eliot, Elisabeth and Robert Ness, thus providing an opportunity for festival attendees to see the sanctuary and attend a church service that morning. The suggestion was warmly embraced. Pastors Warren Cederholm and Donald Caskey will lead the July 22 service. Pastors Cederholm and Caskey have been meeting with a local historian to gain insight into the Ness family and have found plenty of material around which to develop their message. "It's clear from the documentation about Eliot Ness that he approached his calling in life with a dedication to service," Pastor Cederholm noted. "He stood strong when he was put to the test and, as one of his good friends remarked, Eliot was uncompromising in his principles, even to his own personal loss." Elisabeth joined the church while Eliot, who was raised as a Christian Scientist, often attended services with her but did not become a member. The church's venerable pastor at the time, the Rev. Robert Loughborough, told an interviewer that he sensed in Eliot a man whose faith was a personal matter that was manifested in the way he lived his life and the legitimate concern he showed for others. He said he was called to the Ness home to console Elisabeth and Robert when Eliot passed away in May 1957. "I have always regretted the fact that I did not get to know him better," Rev. Loughborough added.